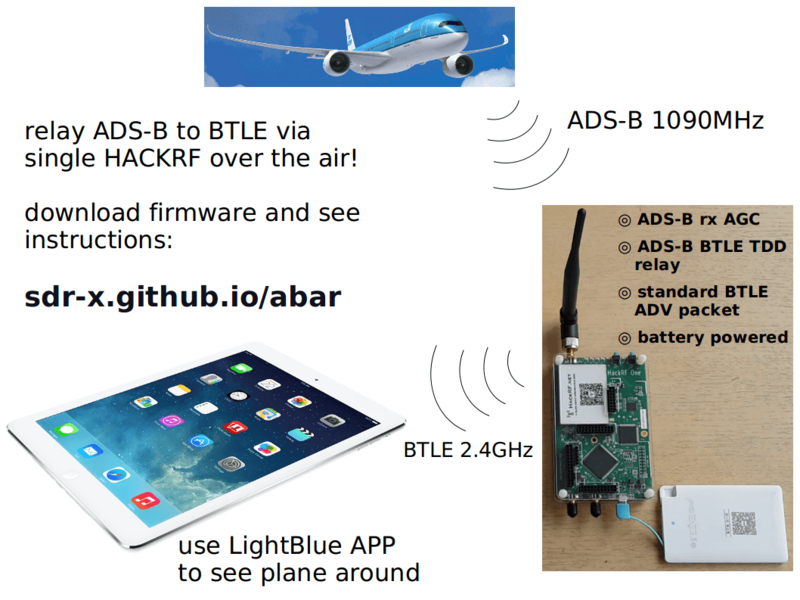 HackRF experimenter Jiao Xianjun has recently posted about his new firmware which allows a single HackRF to receive an ADS-B data packet at 1090 MHz, and then retransmit it as a Bluetooth low energy (BTLE) packet at 2.4 GHz. A smartphone or tablet can then be used to view the ADS-B data. It appears that the system works by broadcasting several fake Bluetooth peripheral names as the received flight data, so there is no way to currently view the data on a map. The firmware needs to be flashed into the HackRF RAM or ROM, and he provides instructions for this over on his post. The video below shows the HackRF and software in action on an iPad.